The Dangote group is one of Africa’s leading conglomerates producing diversified products. 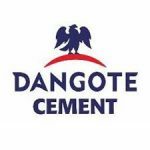 Dangote cement Zambia, a subsidiary of the Dangote group, is the leading producer of cement in Zambia with a modern advanced integrated cement plant in ndola, on the Copperbelt. The Graduate Trainee Programme is designed to give graduates best hands-on training in the manufacturing industry business and graduates will be required to undergo intensive Development programs for Twenty-Four (24) months to prepare them for future roles in the organization based on performance. Must hold a full Grade 12 Certificate; with 5 credits or better of which English and Mathematics are a must. Must have graduated from a University not earlier than 2016. Applications with detailed CVs and certificates indicating day time telephone fax numbers, names and contact addresses of three traceable referees, should be submitted to the undersigned by 19th April, 2019. Deadline is 19th April, 2019. The Position should be clearly mentioned in the subject line e.g. “Graduate Trainee”.